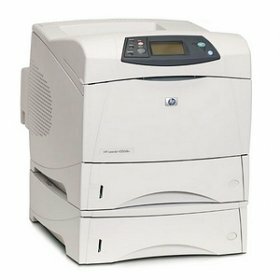 The HP Laser Jet 4250 is a workgroup monochrome laser printer. This HP Printer features super-fast print speeds - up to 45 pages per minute, with a high print resolution of 1200 x 1200 dpi. The LJ 4250 has been popular for years as a durable, reliable printer with no compromise on quality. 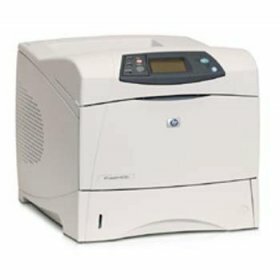 The HP Laser Jet 4250N Printer is a reliable sharp printer. 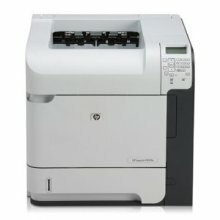 The HP 4250n is a fast 45 ppm printer and will have the first page out in no time. The HP LJ-4250n is a network-ready printer which is user friendly. The HP LJ4350dtn is a fast, 55 ppm printer. 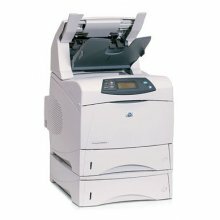 The HP 4350 dtn has a 1,100 sheet paper capacity ideal for busy offices. The HP LJ 4350-dtn is network ready and has an automatic duplexer. The HP 4350tn printer delivers fast, reliable laser printing with ultra-fast print speeds of up to 55 pages per minute and high resolutions. The HP 4350-TN includes a 100-sheet multipurpose tray, and has a monthly duty cycle of up to 250,000 pages. 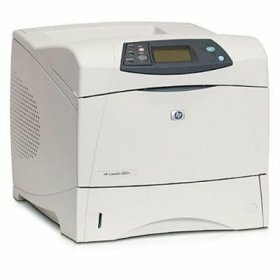 The HP LaserJet 4250TN Printer is a fast printer which can print up to 45 ppm. The Hewlett Packard 4250tn will have the first page out in no time - in less than 8 seconds The HP 4250tn has an additional paper tray and is network-ready. The HP 4250dtn can print up to 45 ppm. The HP LJ4250-dtn includes an automatic duplexer unit as well as an additional paper tray and networking capabilities. 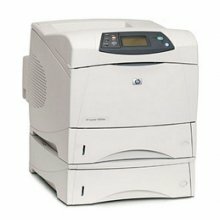 The HP LJ-4250dtn is a fast and reliable printer. The HP LaserJet 4350dtnsl is a fast 55 ppm laser printer. The HP LJ4350dtnsl has a 1100 sheet paper capacity. Additional features of the HP LJ-4350dtnsl include an automatic duplexer and networking. The HP P4515TN will print in monochrome at a quick speed of 62 pages per minute and has a paper capacity of 1100 sheets. It is ideal for medium to large workgroups. 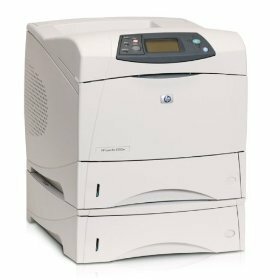 The HP 4515 is an energy efficient laser printer as well as being environmentally friendly.